It is with great sadness that we record the passing of our President, Lord Mustill, on 24 April. Called to the bar in 1955, and taking silk in 1968, he was a popular member of the Commercial Bar and a leading doyen. Throughout, however, he was always willing to offer help and guidance to others, including the junior members of his chambers. By reason of his personality, together with his acknowledged intellectual ability, he gained the respect of those with whom he came into contact. Following his elevation to the Bench in 1978, he rapidly gained universal acclamation and distinction for his contribution both as lawyer and academic, leading to his sitting in the House of Lords from 1992 to 1997. In 1994, Dr Aleka Sheppard invited him to act as the President of the Centre, which he accepted with enthusiasm. It was his fascination with the remit of the Centre ‘to promote risk management education’ that drew him to lend his full support to its aims and ideals. In his speech at the formal inauguration of the Centre, at the House of Lords, in 1997, Lord Mustill said: “There can surely be no other branch of commerce where the practical people know, and need to know, so much of the law; and where professionals know, and need to know, so much of the practice”. 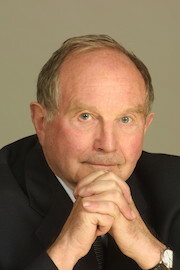 Amongst his accomplishments, Lord Mustill was a Privy Councillor; Vice-President at the Court of the International Chamber of Commerce; a member of the ICSID Panel of Arbitrators; visiting Professor of Law at the University of Birmingham, and visiting Professor of Legal Science at Cambridge University, where he held a doctorate in laws. In addition, his legacy will include Mustill & Boyd on Commercial Arbitration, a work which was acknowledged to have set new standards in such publications. In November 2012, at the Twelfth Cadwallader Symposium & Gala Dinner, the Centre proudly celebrated Lord Mustill’s distinguished career and achievements, a ceremony which was attended by leading members of the judiciary and representatives from all sectors of the maritime community, both from home and abroad. Tributes were paid to him for his intellect, wisdom, warmth and charisma. The Centre has been enriched by the support and encouragement of this most worthy and honourable luminary, and has lost a true friend. This entry was posted in Uncategorised on 1st May 2015 by shippinglbc-admin.